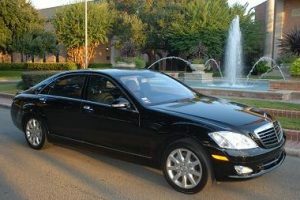 Best Limousines Houston has provided professional services in travel transportation and event planning since 1989. We have served thousands of clients over the years, from internationally known celebrities to Fortune 500 CEOs, to visiting guests from out of town and wedding parties looking for the special elegance only our professionally executed limousine services can deliver. For any sort of occasion – a corporate activity, a special occasion, Galveston Cruise Transportation, or an out of town trip – our commitment to professionalism is reflected in every interaction, from the first phone call to our office to the final “Thank You” from our representatives. For corporate activities a professional, highly competent driver provides punctual services, in strict accordance with your directions. Travel time can be both pleasant and productive with personalized arrangements according to your business goals. From entertainment stars, to corporate functions and special occasions, a testimony to our quality of service is our long list of loyal, satisfied customers who repeatedly request our services. At Best Limousines Houston, everybody is treated like a star! Best Limousines Houston is a member of the National Limousine Association, the Limousine Association of Houston and is licensed by the city of Houston, Texas. For reservations, please call us in Houston at (713) 974-LIMO (713-974-5466), or nationwide toll free at 1-800-LIMO-781 (1-800-546-6781), or fill out this online reservation form and we will contact you to make the arrangements.